As the seasons change, so does your lawncare routine. When autumn arrives, it’s important to pay special attention to your lawn and make necessary adjustments. 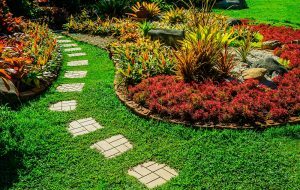 In this article, you’ll learn fall season gardening tips and the proper type of lawn care treatment for Atlanta, GA, landscapes. To prepare your lawn for winter, it’s important to keep the grass higher than usual. At this time of the year, allow your grass to grow about an inch taller than you normally would. This allows the yard to build up the strength it needs to get through the cooler winter months. The summer heat is brutal on lawns. Once the cooler temperatures arrive, use a gardening rake and remove the dead parts of the lawn. Even if the grass looks like it’s healthy and green, run the rake through anyway. You’ll be surprised at how much dead grass and weeds your rake picks up. Thatching the yard, as this process is called, is an essential part of lawncare for Atlanta yards. Compost the dead material or throw it away. Don’t leave it on the ground. This impedes the growing process that continues even through the dormant winter months. Most people think that you only need to seed and fertilize lawns during the active growing months in the spring. However, it’s better for your yard to seed during the fall before the first freeze. Whether you’re seeding a new yard or overseeding, doing so in the fall allows the grass to develop deep roots. This makes your yard stronger when it actually starts growing in the spring time. What is overseeding? That’s a great question. It’s a method of adding more seed to places in the yard that already look like they’re growing well. It’s just another way to establish a strong turf. A word of caution, though. Don’t over fertilize. If you do this, you’ll end up burning your lawn and you won’t have a beautiful and lush yard in the spring. You’ll have a brown, weedy lawn. Another tip for homeowners is to contact a lawncare company for professional help. 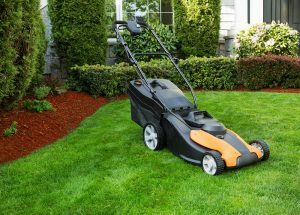 Many lawn care services in Atlanta are value priced and help you stay on top of essential maintenance services necessary to establish that beautiful yard you dream of. Lawncare companies offer many types of lawncare programs, including year-round maintenance. If this is something that interests, you contact local companies and ask them to come out and assess the current state of the yard. The professionals at TurfPride Incorporated have the experience to suggest the best lawn care treatment in Atlanta, GA, for your lawn and its particular trouble spots. Hiring a lawn care service doesn’t mean you’re not capable of taking care of your yard. It simply is another tool for navigating the seasonal changes that Atlanta landscapes endure.